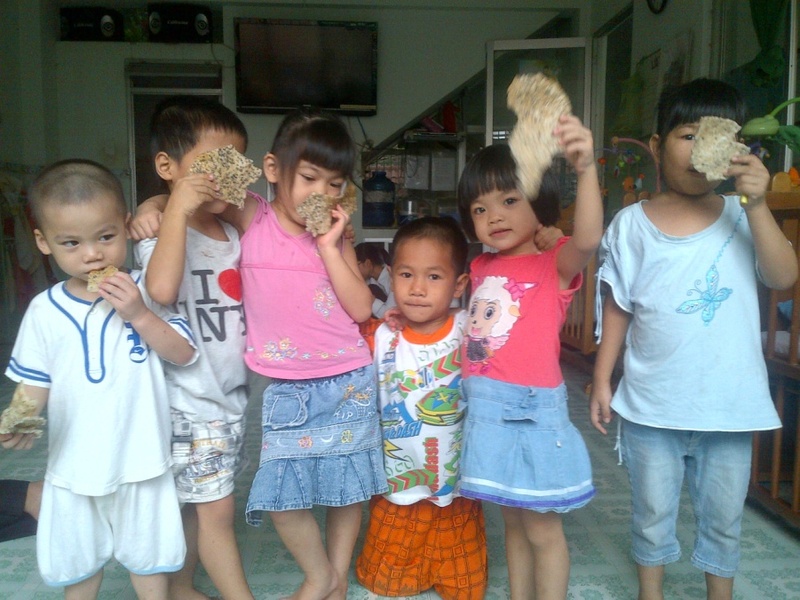 My son Jeremy recently started volunteering at Mai Tam Center, an orphanage for HIV positive children in HCMC, Vietnam. Below are his initial observations from the center that I wanted to share. Walking out of the airport to hoards of people crowded together waiting for their loved ones in a country I have never been before and speaking a language I do not understand, it is clear that I am not in Seattle anymore. On a humid hot day, seas of scooters flow through the streets. Endless rows of houses open up shops selling coffee, trinkets, massage — anything to help families get by. I have come to this country in hopes of doing volunteer work. I have left my home, family and most of my possessions in Seattle… I am in Vietnam. Two days after my arrival, I am at Mai Tam Center, a refuge for orphaned children and homeless mothers living with HIV/AIDS. A stampede of children runs up to welcome me; grabbing my legs, just wanting to spread their love and affection in hopes that I do nothing more than give them some in return. I come to learn that it is one big family here and everyone, regardless of their faith or race, is welcome. Language is not a huge barrier. The foreign volunteers, like me, get by with a lot of sign language and the little English the children speak. Life at Mai Tam is about actions — whether it is getting you some water on a hot day, feeding you until you cannot eat another bite, giving hugs, or the children jumping all over you and playfully beating you up. It is clear that no matter what one’s situation in life, love and care are universal. As long as the people here have these things as well as their health, they are more than content. Established in 2005, Mai Tai center provides necessary medicine, shelter, education, vocational training and jobs needed for the people to live a healthy, sufficient and most importantly, happy life. It houses 79 young children in the main building alone, and has two neighboring buildings for teenagers and mothers with children. A small hospice houses about a dozen of the fatally ill with advanced AIDS; providing them with critical medical care. Mai Tai is a home, school and community for the residents. It also a place that offers them jobs such as work for women in their beautiful flower shop, in the sewing shop, or on their large farm growing fruits and raising chickens. Mai Tam center helps more than 550 women and children annually with their struggle with HIV/AIDS. Although Mai Tam is a joyous place, there are still realities of the disease that the people must face daily. It is place where every birthday is celebrated to its highest extent because the children do not know if they are going to be able to live to their next, where medications for each child and mother are punctually regimented. It is also a place where urns are displayed on the shelves as a memorial of the children who were too sick to save. It is a harsh reality, but one that gives inspiration to not take life for granted and to live each day as it may literally be their last. The Priests who run Mai Tam center fund the organization through individual donations and non-profit organizations in the US. The organization has programs where one can “adopt a child” and fund some of their daily expenses. Many people come to visit and donate toys, clothing, food, toiletries and any other necessities for living. In the past seven years, this organization has been growing rapidly to keep up with the increasing demand, but space and funding will be the key factors for the center’s continued survival. As for the critical medicines necessary for the children’s well being, they have been supplied by non-profit organizations in the United States but future supply is unpredictable as Vietnam has passed a new law that will prohibit medicines from overseas between the years 2016 and 2019. Then the medications for the children will have to be purchased or donated from Vietnamese sources making the need for funding even greater. Overall, Mai Tam is a place of hope and love with curious children, eager to learn and explore what life has in store for them. It is a humble place, where laughter and smiling fills each and every room. Material items are not what make the people here happy, but being around each other and knowing that they are healthy. With spiritual support, caring volunteers, sufficient funding, and donations, this organization can blossom and aid people living with HIV/AIDS at an even greater scale. So I invite you to please do some research on this organization, come for a visit, or make a donation today. The organization truly needs and appreciates help from anyone willing to support them on their mission to aid the children. *Our youngest baby is less than a week old. The mother had him at the hospital and left, leaving him to the hospitals responsibility. 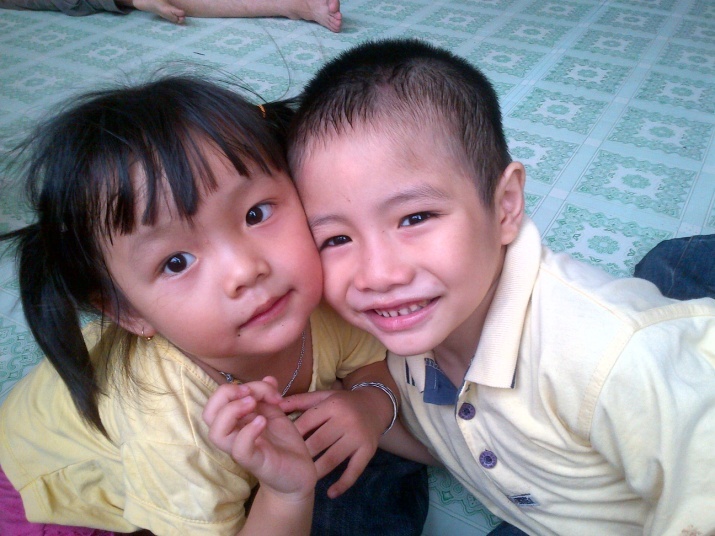 Posted in People & Culture and tagged Children, HIV, Mai Tam Center, Orphanage, Vietnam. Bookmark the permalink. Thanks for sharing this John After having visited the orphanage in person, I can say that the children are quite happy and well cared for but so much help is needed. After my visit, I came home anxious to find a way to help. I’m so glad Jeremy included a list of needs. I will visit my dentist’s office this week to see if he can help with the toiletries needed. Jeremy couldn’t have said it better. The house is full of love but could use more help and items. The kids are the cutest ever- I miss them so much and can’t wait to get back in January.